If you feel anxious and filled with stress, or even expect a future stressful event, a new study says one way to cope is through exercise. Get the blood pumping and watch stress dissipate. It is no secret that exercise elevates your mood. If you work out, you’ll notice that you feel better afterward, filled with a more positive emotional state. Exercise, of course, delivers a slew of other benefits, but we’ll stick to mood benefits here. The question was addressed by a recent study was: when we stop exercising, does that workout help us endure stressful things throughout the day? The answer, in a word, was yes. Exercise helps buffer the effects of emotional exposure, reducing anxiety and keeping it reduced even when an emotional event occurs. Researchers looked at how moderate levels of cycling affected anxiety levels — compared to quietly resting. They measured anxiety levels before exercise or rest, shortly after, and then after exposing people to pleasant and unpleasant images. The amount of cycling each time was 30 minutes. Both exercise and quiet rest were equally effective at reducing anxiety levels at first. But then later, after being emotionally stimulated by 90 photographs (used in emotion research) for 20 minutes, the anxiety levels of those who rested went straight back to their initial levels. But those who had cycled maintained their reduced anxiety levels. The photographs were designed to simulate the range of emotional events you might experience in daily life. They varied from pleasant emotional events, neutral objects or landscapes, to very unpleasant stimuli. In the end, researchers suggest that exercise may play an important role in helping people better endure life’s daily anxieties and stressors. 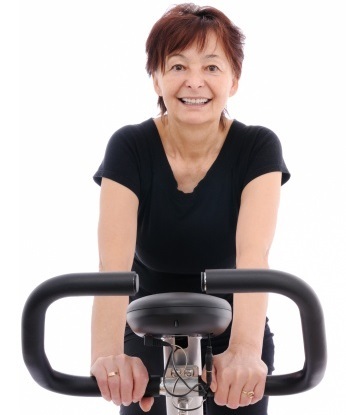 Moderate levels of exercise deliver a wide range of health benefits to an individual. Now, we know that stress can be combated directly, with an effect that lasts well beyond the workout. If you know you are enduring a stressful time, it is best to start your day off with some physical fitness And if you live day to day with anxiety and stress always around you, you can use exercise as a tool to improve your quality of life.